Our friendly family dental practice has been serving patients in Haughton Green for over 30 years and has recently been given a makeover to bring it up to date with state-of-the-art equipment. We offer a calm and relaxing environment and want to work with our Haughton Green dental patients to provide a high class, stress free experience, even if you are nervous or have complex dental issues. Our team are friendly, approachable and ready to answer your questions to put your concerns to rest. Our dentists work hard to keep their skills and knowledge up-to-date too and we are proud to be one of the few dental surgeries in and around Haughton Green that can offer a wide range of specialist services from our specialist dentists. 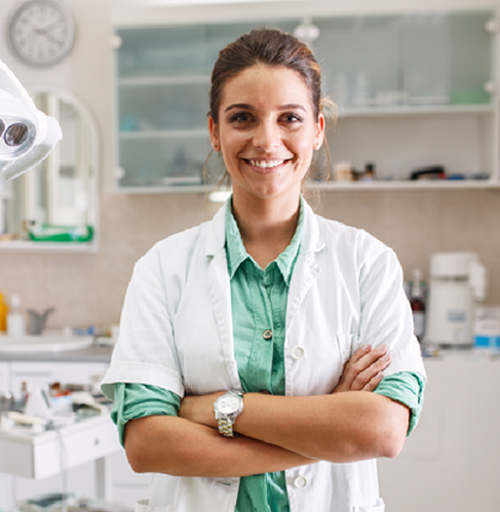 These are dentists that have undertaken extra qualifications to specialise in particular areas of dentistry, allowing us to offer more complex dental service than most practices. Our specialist dentists offer orthodontics (tooth straightening), periodontics (gum disease), and prosthodontics (replacement of teeth with implants, dentures, bridges and crowns) to dental patients in Haughton Green. We encourage a preventative approach to dental care and have our very own dental hygienists who can get your smile sparkling – even if you haven’t been to the dentist for a while. We can also offer advice to our patients in Haughton Green on tooth care and prevention of gum disease and are more than happy to answer any of your questions.